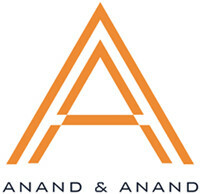 Pravin Anand is managing partner of Anand and Anand. 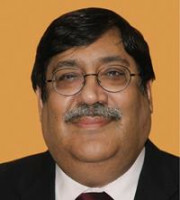 He has been counsel in several landmark IP cases, including those involving the first Anton Piller order (HMV); the first Mareva injunction order (Philips); the first Norwich Pharmacal order (Hollywood Cigarettes); moral rights of artists (Amarnath Sehgal); the first order under the Hague Convention (Astra Zeneca); and several significant cases for pharmaceutical clients such as Novartis, Pfizer, Merck and Roche. He has received the National Innovation Foundation Award from the Indian government in recognition of his pro bono work for rural innovators at grassroots level. Mr Anand is past president of the International Federation of Intellectual Property Attorneys India, the International Association for the Protection of Intellectual Property (AIPPI) Indian National Group and the Asia-Euro Forum. Mr Anand is co-author of the two volumes of Halsbury’s Laws of India on intellectual property and author of the India chapter in Copyright Throughout the World (West – Thomson Reuters). He is also on the editorial board of multiple leading journals on IP jurisprudence and international legal magazines. Mr Anand has spoken extensively at various forums, including the World Intellectual Property Organisation, the AIPPI, the International Trademark Association, the Licensing Executives Society, the International Bar Association, LAW ASIA and UN conferences.